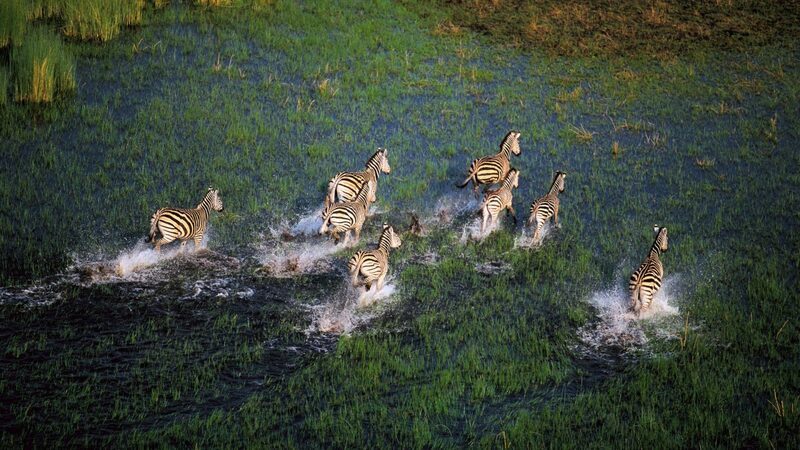 The Okavango Delta is one of Africa’s best wildlife safari destinations. This UNESCO World Heritage Site is one of a very few large inland delta systems without an outlet to the sea and it comprises permanent marshlands and seasonally flooded plains. The Delta is both a permanent and seasonal home to a wide variety of wildlife and endangered species of large mammals, such as the African wild dog, cheetah, lions, white rhinoceros, and black rhinoceros. It offers a true wilderness experience, excellent wildlife viewing, and stunning scenery. Game drives, night drives, walking safaris and mokoro trips with superb guiding are available in the delta. Most of the lodges in Okavango Delta are reached by charter plane and offer very exclusive, high-end services. Moremi Game Reserve is located on the eastern side of the Okavango Delta and is the most productive area for wildlife viewing within the delta. The reserve was named after Chief Moremi III of the local Batawana tribe from Ngamiland. Moremi consists of wetlands and a dry peninsula. 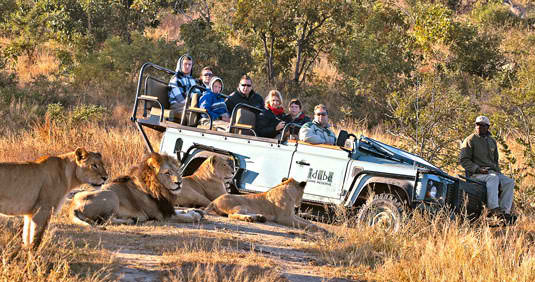 This game reserve is excellent for classic game-drive safaris and offers more wildlife sightings. 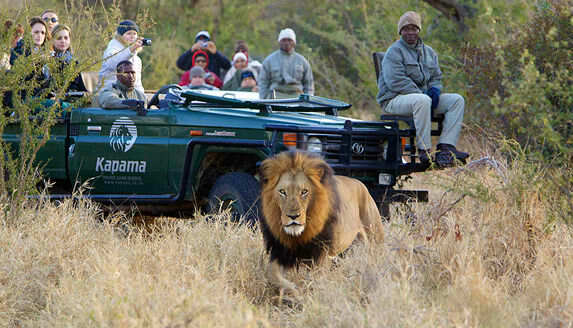 Moremi Game Reserve offers exceptional wildlife viewing with all the Big Five are present. The reserve is also a major stronghold of wild dogs and has large concentrations of red lechwe, impala, blue wildebeest and Burchell’s zebra. Game viewing is at its peak from July to October, when seasonal pans dry up and the wildlife concentrates on the permanent water. The Selinda Reserve is one of Africa’s best wildlife safari destinations. The reserve is a 300,000-acre private wildlife sanctuary in the northern part of Botswana and centers around the famous Selinda Spillway which weaves its way through the reserve. The reserve is one of the best for wild dog sightings. Wildlife viewing is very good with most big safari animals are present except rhino. Buffalo, giraffe, zebra, wildebeest, hippo, hyena, waterbuck, kudu, steenbuck, lechwe, and impala are common species found in the reserve. There are several resident pride of lion, and huge herds of elephant arrive in the Dry season. When the bush gets dry, Zebras in large numbers also migrate to the reserve. Activities in Selinda Game Reserve include game drives, night drives, walks and boat safaris. The months of June until October are the best months to visit the Selinda Game Reserve. 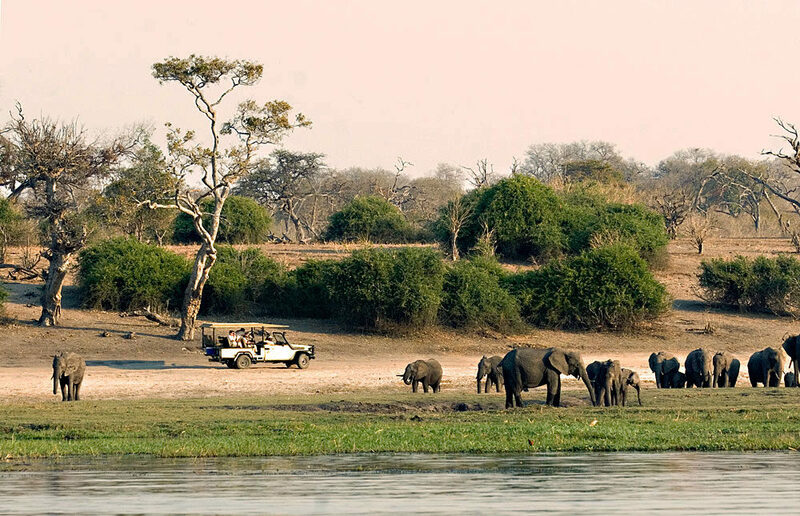 The Chobe National Park is the first and most biologically diverse wildlife safari destination in Botswana. It is one of the greatest concentrations of game in all of Africa. Four of the Big Five present and easily seen in the park. The park is also renowned for its big concentrations of elephant and buffalo that come to drink at one of Africa’s magical rivers, the Chobe River. There are also plenty of hippos and crocs in the river. The birdlife in Chobe National Park is phenomenal, making it a perfect destination for those who love bird watching. Animals in Chobe are seen all year-round, but wildlife viewing is at its best particularly along the southern bank of the Chobe River during the dry season—from April to October. A gorilla safari adventure in Uganda is a great vacation experience indeed. There are all kinds of safari trips you can take all over Africa and in Uganda, and you have chosen wisely. In fact, Uganda is a premier destination in terms of vacationing and enjoying the wildlife in Africa. You are going to be up close and personal with gorillas and all kinds of exotic animals. Are you ready to see which luxury gorilla lodges in Uganda are the best? Have you heard of Bwindi Impenetrable National Park? That is where the Gorilla Forest Camp is located. This park and camp are both said to be a beautiful site and a great cultural experience. Not only are you going to get to see gorillas, but the landscape is amazing, complete with waterfalls. Enjoy all of those nature walks, and reviews say that the Gorilla Forest Camp at this national park is equipped with an excellent staff. 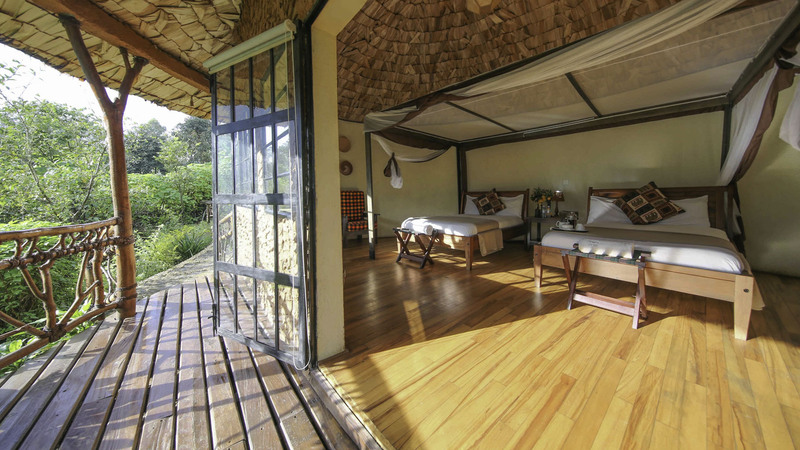 There is another top luxury gorilla lodge in Uganda that is located at the same national park. Right in Biwindi Impenetrable National Park is a place called Mahogany Springs. Do you feel like booking the presidential suite? Experience a gorilla trek through Mahogany Springs, and you are going to get to enjoy some great local cuisine when it comes to the lunches that are provided. The gorillas come right up to the lodge according to reviews, and so you definitely get your up close and personal experience no matter where you are on the property. Also in Biwindi is a place called Gorilla Safari Lodge, and there are so many gorillas for you to see there. You may be wondering why you have been directed to Biwindi for the top lodging options so far. It should be mentioned that approximately half of the world’s mountain gorillas are in this area of Uganda. That makes you realize right there that you are in the right place for seeing mountain gorillas. Reviews clearly point to the fact that this particular lodge is quite luxurious. One thing you will also like about Uganda is the climate because the weather is ideal for traveling year round. Staff at pretty much every lodge or hotel is going to be extremely friendly, and Uganda is a bird watcher’s paradise, too. The main draw in this case is of course the mountain gorillas, and you are certainly going to get to see your fair share. Let’s look at one more lodging choice that you might want to consider as you get ready for your stay in Uganda. 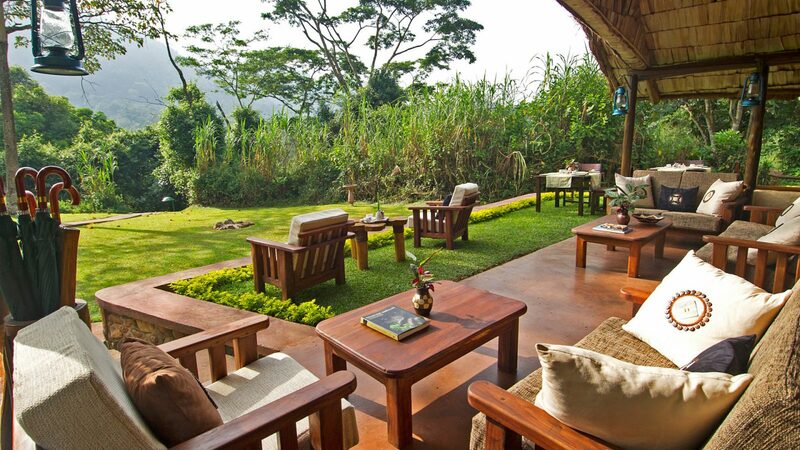 Clouds Mountain Gorilla Lodge is the 4th pick. It is also part of the national park mentioned earlier. It’s safe to say that all you need to do is make your way to that national park, and you are going to find the best lodging choice, no matter which one of these you pick. Now you just have to get ready to be up close and personal with those gorillas. Are you ready? Victoria Falls is an place of interest in and of itself, and there are so many things to do in that part of Zimbabwe. 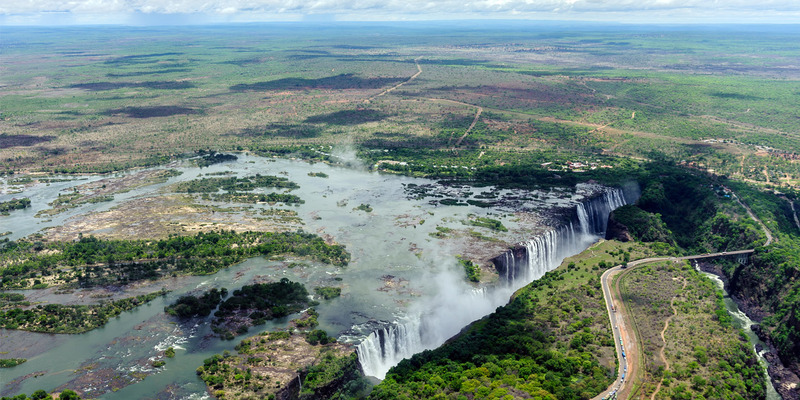 Did you know that the total height of Victoria Falls is 355 feet? It is a majestic site, as are the other natural attractions in the area. It’s time for you to discover 3 of the top adventurous activities in Victoria Falls. You are certainly going to be checking out Victoria Falls National Park. That is where you will see the waterfall, and there are plenty of other things to do in the area. Did you know that Victoria Falls is also called ‘the smoke that thunders?’ People report visiting the national park and the waterfall during the dry season still being lovely. Hopefully, however, you can plan a visit when you can see the waterfall in full swing. According to reviews, a visit to Livingstone Island while you are in that area would also be a great adventure, although it is on the Zambia side. You can still see the waterfall from the Zambia side, but you will just be in a different area. You could visit both, however, and that sounds like a plan. This next place is very interesting, and it would certainly be an adventure. 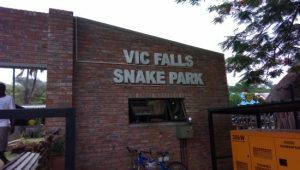 The attraction is Victorian Falls Snake Park, and yes, you get to see and hold snakes. Does that sound fun and make you a little nervous. It would make me nervous, but it would be an adventure. Victoria Falls Snake Park is located at 273 Adam Stander Drive. The snakes there aren’t just any snakes. They have some of the biggest and most deadly snakes at that place. There are also scorpions and spiders. Naturally, when it comes to opportunities for snake handling, you aren’t going to be holding the venomous snakes. I certainly wouldn’t want to do that even if they offered. This is a cool place to stop by for sure, don’t you think? It is certainly one of those types of experiences that you don’t have too often, if ever again. Crocodile Ranch is the 3rd adventurous activity to experience when you are in Victoria Falls. How would you like to hold a baby crocodile? Hey, it’s another one of those experiences that you might not have again. The only thing I don’t like about this place is that there is a curio shop. The shop sells leather products, and you know how they make the leather. It would be cool to see the crocodiles though, and you get to feed them, too. So there you have it, the top 3 activities in Victoria Falls. You and your family will certainly enjoy your adventures, but I have a few other things to tell you about. You can go scuba diving and snorkeling, including a crocodile cage diving experience. You can also enjoy kayaking, canoeing and much more. The Elephant’s Walk Shopping and Artist’s Village is said to be a really unique experience, and you might even consider a helicopter tour. It would be a neat way to check out Victoria Falls for sure. There are also historical heritage tours that you can take. You can certainly see that you’re not going to run out of things to do. 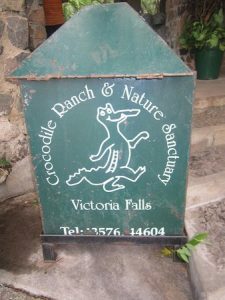 You can organism and book most of these tours directly through your Victoria Falls Hotel, just ask them at the front desk.Have a great time in Victoria Falls, and see if you don’t want to come back for more. It is going to be a blast, and you are going to want to be sure that you make it by the top 3 places of interest mentioned and perhaps some of the bonus activities as well. Kruger National Park is the largest game reserve in South Africa. It covers an area of 19,485 km2 in the provinces of Limpopo and Mpumalanga in northeastern South Africa and extends 360 km from north to south and 65 km from east to west. The park is part of the Kruger to Canyons Biosphere an area designated by the United Nations Educational, Scientific and Cultural Organization (UNESCO) as an International Man and Biosphere Reserve. To the west and south of the Kruger National Park are the two South African provinces of Limpopo and Mpumalanga. In the north is Zimbabwe, and to the east is Mozambique. The Kruger National Park is the flagship of the country’s national parks and is known for its ultimate safari experience. The Kruger Park is a remarkable reserve offering an incredible experience of Africa. 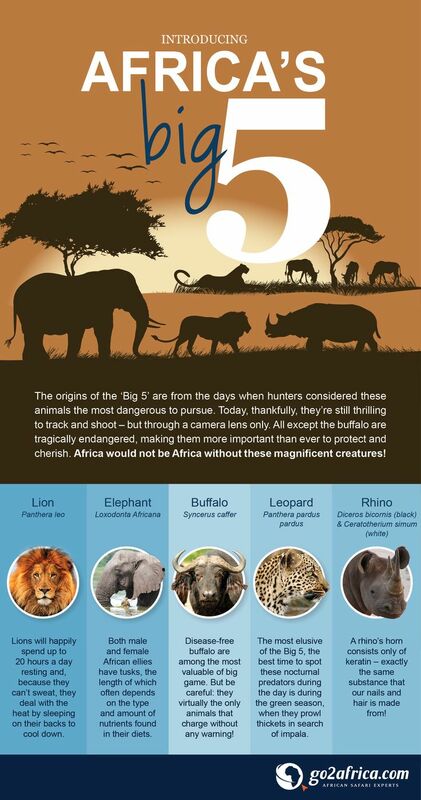 Africa’s Big 5 – lions, leopards, rhinos, elephants, and buffalos are frequently sighted. The African wild dogs, antelope, Springhare, Spotted Hyena, civets, zebra, baboons, and monkeys can also be found in Kruger. Some of the vast and diverse population of interesting birds which are found in the Kruger National Park are African Fish Eagle, Pel’s Fishing-Owl, Pennant-winged Nightjar and Croaking Cisticola. In fact, Kruger is home to a number of species including 147 mammals, 114 reptiles, 507 Bird Species and 34 Amphibians. The Kruger National Park is not only known for its natural beauty, it is also known for its diverse and flourishing wildlife. The Kruger National Park has four regions to make it easier for visitors to select the type of African safari experience: Central Region, Southern Region, Northern Region and Far Northern Region. The Central Region is acclaimed to be the most game-rich area. It encompasses about 30% of the Kruger National Park’s land area stretching from the Sabie River north towards the Olifants River. It supports nearly half the park’s lion population as well as numbers of leopard , hyena, and cheetah. The central region also has a number of camps making it a popular region among tourists. The Southern region covers the lower fifth of the Kruger Park, from the Sabie River down to the Crocodile River right in the south. This is the region where you’re almost sure of seeing a white rhino. The combretum woodlands of the Southern region also attract reasonable herds of kudu, impala, giraffe , buffalo , zebra , white rhino and elephant. There are only a few lions in this region which makes way for the cheetah and wild dogs. The Northern region is a semi-arid region covering 7 000 km2 that sees very little rain. It extends from the Olifants River to the Tropic of Capricorn and is mostly dominated by mopane trees. 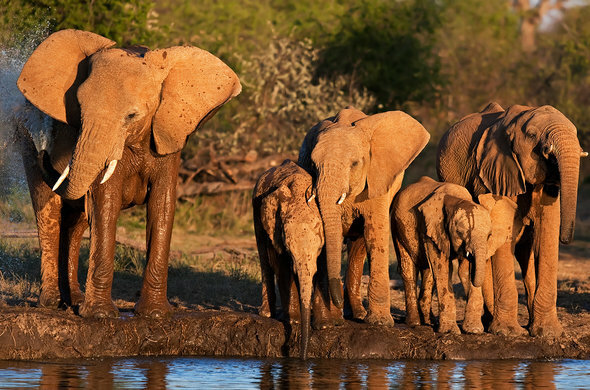 Elephant sightings are common in this region of the Kruger Park, as well as buffalo and zebra. 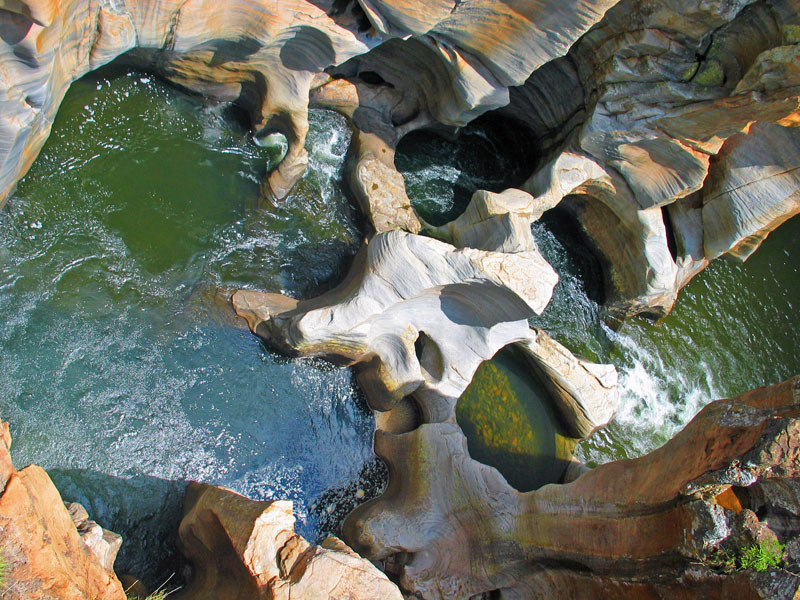 The Far Northern region extends from the Tropic of Capricorn right up to the Limpopo River. 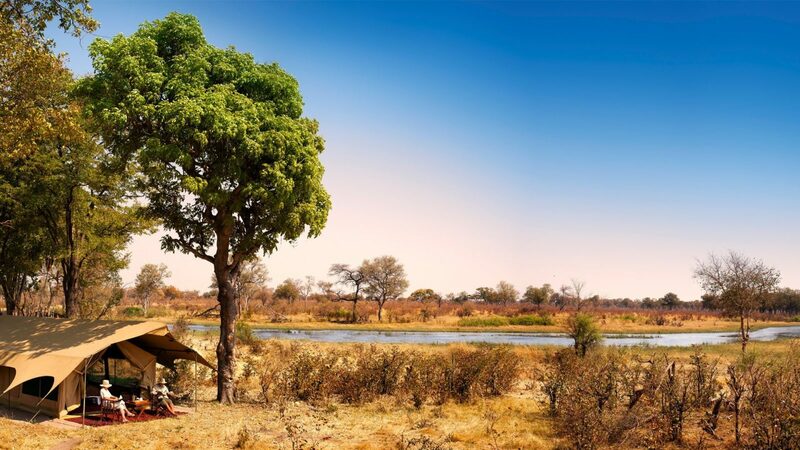 The area is mainly arid and flat, apart from around Punda Maria, where localized rainfall allows tall mopane trees to flourish in abundance. Visitors can get to see the sand frogs, a collection of bats, the nocturnal bushpig and the rare Sharpe’s grysbok. There are also samango monkeys, packs of endangered wild dog , and the major water pans across the Jambiya sandveld are a good place to sight tropical warm-water fish. Game viewing in this region is best along the river systems, and this is a great area to see nyala, elephant, buffalo, cheetah, and leopard. For those who want to experience wildlife encounters, the private game lodges offer game drives. Games drives can be morning drives, sunset drives, night drives and usually include a coffee break, breakfast or sundowners in the bush as part of the game drive experience. 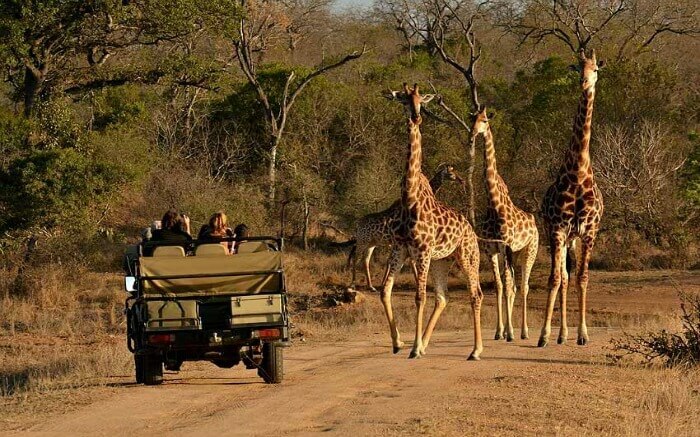 A game drive is a highlight of any day as guests venture out on the back of an off-road vehicle to the bush in hot pursuit of an up-close encounter with the animals. These game drives are conducted by experienced rangers who will impart to you their knowledge about the animals and the wild. Guests can also explore the Kruger National Park on foot. During bush walks, guests get to experience the excitement of tracking a rhino or elephant or lion on foot through the heat of the bush. Guided bush walks are designed to enable the guests to take a much closer look at the ecosystem. It allows guests to see smaller details which cannot be seen during game drives. Bush walks can last up to four hours and mostly conducted by the camps during morning or afternoon. Guests will experience the wildness, remoteness, tranquility, and peace in the wilderness trails. Some of the most incredible wilderness trails in Kruger National Park are Metsi-Metsi, Napi Wilderness Trail, Bushmans Wilderness Trail, Sweni Wilderness, Nyalaland, and Wolhuter. The wilderness is perfect for small groups. It requires a certain level of fitness and stamina to survive days in the trails. Staying in a rustic, primitive camp and experiencing the African bush on foot for a few days is definitely an authentic wilderness experience. If your goal is to indulge in nature, experience a true African safari with incredible accommodation and create memories that last forever, the Sabi Sands Game Reserve is for you. The Sabi Sands Game Reserve is a 65,000-hectare reserve adjacent to the renowned Kruger National Park. Sabi Sands offers unparalleled viewing possibilities and ultimate photographic safari. It is claiming to be the best place in the world for a safari and offers a safari experience found nowhere else in the world, including up close and personal experience with the big five and other wildlife animals. Sabi Sands Game Reserve used to be an agricultural land. The original Sabie Reserve was already proclaimed in 1898 which turned out to be the forerunner of the massive Kruger National Park. When the National Parks Act was passed in 1926, many of the original landowners were excised from the area. They, in turn, created the Sabi Private Game Reserve next to Kruger National Park in 1934. The landowners formally formed what now is the Sabi Sands Reserve in 1948. Up to date, Sabi Sands is under the ownership of six families which are now third and fourth generation owners. Sabi Sands is renowned for the up close experience with the Big Five —Lion, Leopard, Elephant, Buffalo and Rhino. In particular, it is well known for its extraordinary close encounters and prolific sightings of the elusive leopard which is frequently spotted when going on a game drive in the reserve. On night drives, the reserve’s famous leopard, mongoose and civet cat are frequently encountered. There is a 50-kilometer unfenced boundary between the Sabi Sands and Kruger National Park, so wildlife roams freely in a huge natural environment. Aside from the big 5, there are about 145 other mammal species, more than 500 bird species, approximately 30 amphibian species, about 110 reptile species and 45 fish species which can be found in the Sabi Sands. The number of different species proves to show the incredible diversity of wildlife in the reserve. Some of the mammals which can be seen in the reserve include Aardvark, African Wild Cat, Bushbuck, Cheetah, Honey Badger, Hippo, Jackals, Vervet Monkey Warthog and the Wild Dogs. There are also more than 330 kinds of trees growing in the reserve. In addition, the Sabi and the Sand Rivers run through the reserve and add a further dimension to the bio-diversity of this area. With a high density of wildlife, guests are guaranteed to encounter most, if not all, of the Big Five, as well as a variety of other species. Sabi Sands Game Reserve is a private game reserve which means that it is not accessible for day visitors. 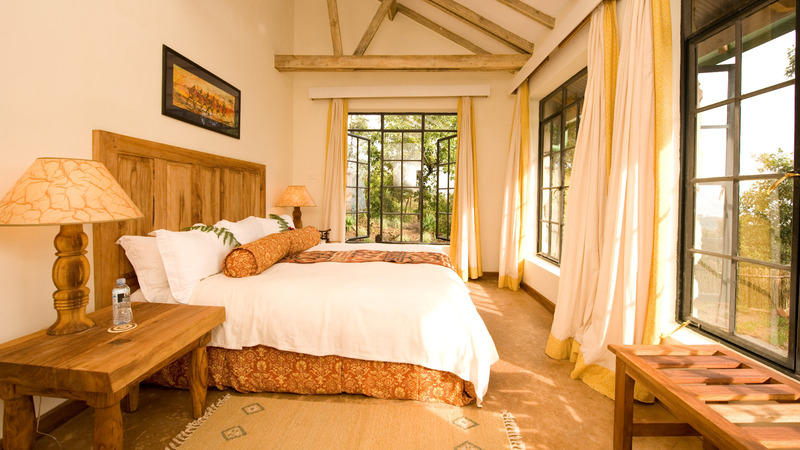 The guests must book at one of the Sabi Sands lodges upon entering the reserve. Self-catering, camping, or picnic facilities are not available in the reserve. However, it is home to many different lodges that all have something unique and incredible accommodations to offer. These lodges range from quite affordable to ultra-luxurious ones. Meals and safari activities are also included in the rate. The guests are not allowed to drive around the reserve alone for safety purposes. Nevertheless, guests are guided by highly trained guides who explain everything you need to know about the reserve and the animals. One of the highlighted advantages of Sabi Sands is that rangers are allowed to drive off the road when on safari. So when there is leopard sighting, the ranger is allowed to follow it in the bush. It is said that Sabi Sands possibly makes the best South African safari destination for wildlife enthusiasts, photographers and bird watchers alike. So plan your next trip and visit the Sabi Sands Game Reserve. If you are looking for an extreme whitewater rafting experience in South Africa, you should surely consider a Blyde River Canyon Rafting trip. Such a trip is not for the faint-hearted. In fact, helmets and other protective gear are essential for your safety and endurance in the Blyde River. The Blyde River is considered one of the most gorgeous rivers in the world. It allows you to paddle challenging rapids and take in some of a gorgeous scenery that begins in the Mariepskop Forestry Reserve and ends as the Blyde River connects with the Blydepoort Dam. This article provides a comprehensive overview of Blyde River Canyon Rafting. A rafting trip in the Blyde River Canyon offers a full day’s worth of fun and exhilaration to you and your loved ones. The River Canyon is 26km long and 762m deep. It is considered the second largest Canyon in Africa and the third largest in the world. Although it is famed for the spectacular scenery, there is much more than taking in the views. A rafting trip in the Blyde River Canyon is fast and furious because the river contains steep gradients. These slopes range from long rapids to steep drops and much more that get your adrenalin pumping along all 8km of white water. The 8km stream is followed by a 5km leisurely cruise over the dam. The views of the Three Rondawels from the dam are unparalleled anywhere else in the world. When you choose a reputable operator in the area, you are assured of a once-in-a-lifetime experience in the Blyde River Canyon. The Blyde Canyon Adventure-Centre is the best place to visit for all your whitewater rafting trips in the Blyde River Canyon. You will be offered a 2-person “Croc raft” operated by trained and qualified guides of the service provider. They will follow you in their own rafts. The rapids in the area are rated as Class Three to Four, but if you are healthy and reasonably fit, you need no prior experience. 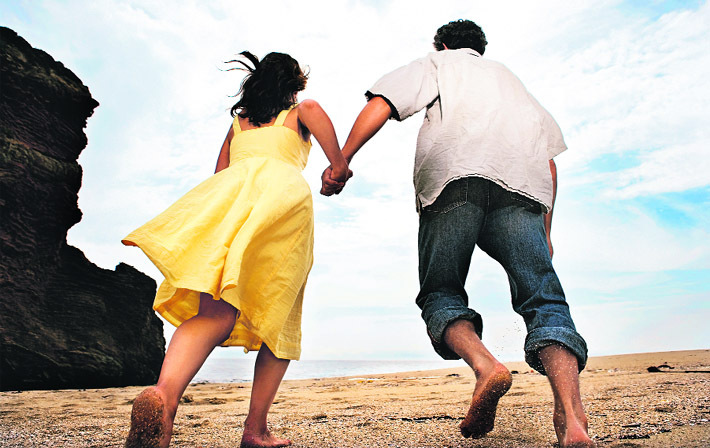 You have the option to choose between an overnight stay or a one day tour with a picnic lunch. You find A-Framed Huts at the Wet Camel Camp for this purpose. The Blyde River Canyon is considered the greenest Canyon in the world. It consists of luxuriant sub-tropical vegetations. If you prefer to move slowly while viewing these scenes, you can choose a slow-moving craft to paddle the Lower Blyde River. Many clients have highly rated their experience with The Blyde Canyon Adventure-Centre. The internet is full of positive reviews and testimonials provided by highly satisfied customers. That is why it is important that you choose a reputable and experienced operator to paddle the rapids of the Blyde River Canyon. In conclusion, a rafting trip in the Blyde River Canyon is a once-in-a-lifetime experience for most of us. The gorgeous sceneries will surely mesmerize anyone who undertakes to whitewater raft in the area. The aforementioned article provides an overview of whitewater rafting in the Blyde River Canyon. Rafting trip leave from Hazyview, which is only 49 kms from Nelspruit. Nelspruit is considered the gateway city to the adventure and wildlife province of Mphumalanga. If you are looking for places to stay in Nelspruit check out our accommodation listings or check out this Nelspruit B&B. It is said that you would be missing half of your life if you haven’t visited the Zanzibar Islands located about 40 kilometers of East Africa. These islands are surrounded by sandy beaches and rocky bays. Enjoy the sight of mangrove swamps and lagoons. You could also go water diving and see the majestic coral reefs beyond the shores. The Zanzibar Islands also offer various fun activities. Read on to discover the 4 best activities in Zanzibar that you must try. 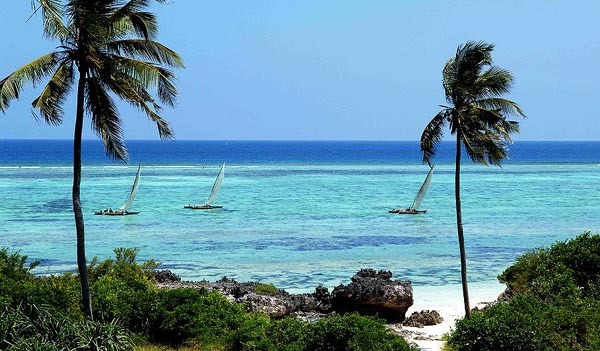 Zanzibar is also called the ‘Spice Island’. Discover what’s behind its nickname with this four-hour orientation on Zanzibar foods and spices. A local tour guide will be by your side throughout the tour. Take this opportunity to dig deeper into Zanzibar’s culinary history and culture. Never miss out on a chance to visit the spice farm and taste some of the delicious fruits and take in the aroma of its famous spices such as curry, saffron, chili and cinnamon. If you want to learn how to cook traditional African dishes, you could talk your tour guide into accompanying you to a local farmer and chef. Include the Zanzibar Quad Adventure to your must-do list when you visit Zanzibar. Most tourists love the quad adventure because it is way better than all the other tours since you get to see the real Zanzibar Islands. You will be riding quad bikes to tour you down the villages and farm lands. Tourists get to choose how long the tour will be. The adventure typically lasts for three hours, but tourists who want to spend more time in other activities may go for the 60-minute quad adventure. Either way, expect to spend some minutes touring the villages where you will experience nature at its best. The remaining time will be spent on riding trails. Are you into scuba diving and snorkeling? If yes, this activity is perfect for you! A team of professional diving staff will accompany you as you go deeper into the water and ensure your safety while you’re down there. This activity will make it possible for you to get a taste of the life beyond shorelines and be with underground creatures. Discover how great it is to swim with the fishes, goofy around with baby sharks and play with lovable dolphins. If you want an intimate trip that’s beyond fun adventures, you might want to try the Zanzibar Eco Tour. This activity includes a tour to the Ukuu Unguja, a seemingly abandoned sandbank near the Menai bay where you could have all the privacy you want. You could also visit the Jozani Forest to meet the friendly Colobus Monkeys. Whether you are into traditional African food-tasting, scuba diving and snorkeling, extreme adventures or you simply want to have a break from the bustling city, consider these 4 best activities in Zanzibar that you should try on your visit. Have you ever thought about going to see gorillas in their native habitat? These enormous members of the primate family are gentle and have a wonderful social structure. They live in natural habitats in very remote areas of Rwanda and you can see them just like I did if you want to see one of life’s major marvels. Here is what I did on my gorilla adventure Rwanda vacation. 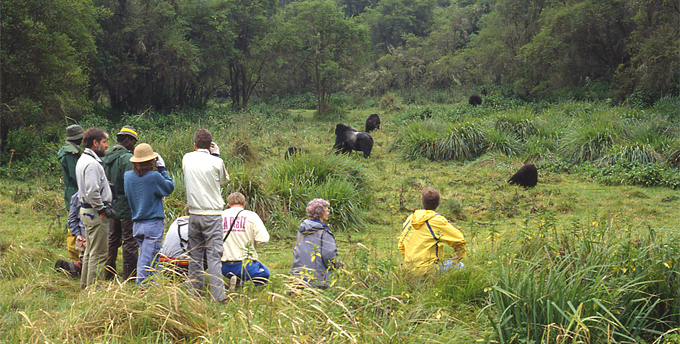 There are two major groups of gorillas in Rwanda that you can trek into see. There are the Susa and the Hirwa groups. When I went to see the Susa group, we started out early and hiked and climbed for more than two hours into the highlands. There are many silverbacks in this group and it is the largest one that tourists have the opportunity to visit. Dianne Fossey studied this group early in her career. I was so tired when we finally arrived but completely forgot about my exhaustion once we saw the young gorillas playing. Perhaps they are used to having tourists pop in and out, but I was stunned by how little notice they paid to us. There are no natural predators in the region, so perhaps that is why we did not matter to us. I was able to take many picture while we were there which I will always treasure. When we booked our trip, we had the option of staying in a high end hotel or one that was priced in the mid-range. I am glad that we decided our gorilla adventure Rwanda vacation was more about seeing the animals than where we ultimately stayed. I chose the mid-range price which was perfect for our needs. We spent most of our time in the country going out to explore. What really matters is which guide you choose. Our guide was very knowledgeable. What no one ever expects is how life changing seeing this primates in their own world can be. My gorilla adventure Rwanda trip made me realize how important conservation truly is. Think about it. If we don’t make an effort to preserve the habitat, the next generation may only get to read about gorillas in old stories and that is not okay. Before you leave Rwanda, make sure that you spend some time looking at the other primates who live there. One of my favorites was the golden monkey. It is an endangered species and is extraordinarily playful. The national park is well worth the trip as well. Ask a ranger to guide you and you will be amazed by the animal life that remains abundant in the area. There are ugly warthogs, giant forest hogs, hyenas, buffalo, elephants, and even lions. It’s important to follow all of the rules of the park so you don’t get injured on your trip. Seeing the gorillas and other wildlife in their natural habitat is a once in a life time trip. If you ever get the chance to go, I highly recommend it. The wondrous continent of Africa contains a dizzying array of sights for foreign travelers, from the ancient towering pyramids of Giza to the thundering herd migrations of the Serengeti to quiet majesty of a Rwandan mountain gorilla to remnants pf Great Zimbabwe in Masvingo. Kenya in the east, for all the suffering she has endured, is a particularly notable place for tourists, as the region is both politically stable and rich in natural wonders that many foreigners will by a pretty penny to see up close, often in the form of a genuine safari. Here now are 5 of the best safaris in Kenya. Of the 5 best safaris in Kenya, the Samburu National reserve is perhaps the one closest to the European conception of “Africa”. Nourish by the Ewaso Ng’iro river and filled with acacia, riverine forest, thorn trees and grasslands, the Samburu reserve contains a dizzying array of wildlife that East Africa is famous for, including the Masai lion, warthogs and Nile crocodiles. The park also contains a number of elephants, though the rhinoceros is no longer present after many decades of poaching. Distant from humanity and for some years inaccessible, the Samburu has since opened up. Another icon location for European conceptions of Africa and the second of the top 5 best safaris in Kenya, the Serengeti’s vast savanna covers large swathes of southwestern Kenya and is protected in Kenya by the Maasai Mara Reserve. Dotted with umbrella acacia trees and covered in a thick blanket of tall grass, a number of animal species cover this over five hundred square mile park. 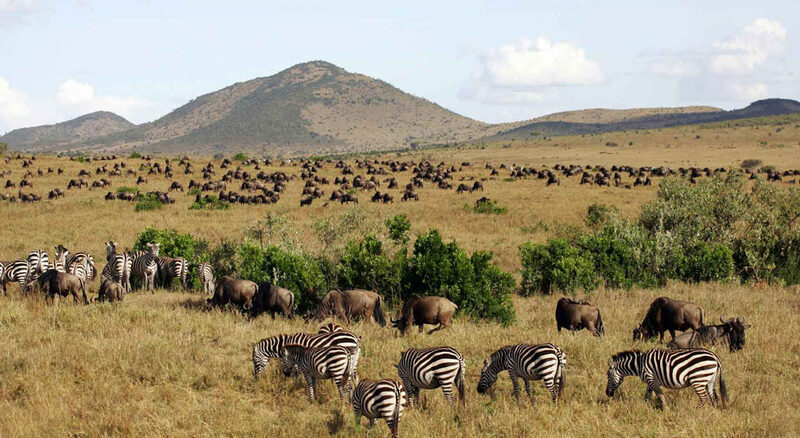 It is also the sight of “the Great Migration”, where thousands of zebra, gazelles and wildebeests make an annual migration through the region following the annual shifts in grazing lands. The second most popular park in Kenya behind Maasai Mara is Amboseli, marked by semi-arid land that sees little rain, dried up lake from the Pleistocene era and five large swamps that host a great number of water birds, pelicans and over forty breeds of raptor, in addition to a great number of elephants. While the animals are strictly off limits, the view of snow capped top of Mount Kilimanjaro is not to be missed and nobody will complain if you take pictures of the animals that roam the 150 fifty square miles of the park. Another popular safari location, Ol Pejeta in the center of Kenya offers a number of sights in addition to the usual array of famous African game. A sanctuary for the rhinoceros, Ol Pejeta is home to over a hundred black rhinos and the last few semi-wild northern white rhinos on the planet. It is also the base of a chimpanzee sanctuary and is the only place in Kenya where great apes can be seen. Filled with incredible wildlife that can’t be seen anywhere else, Ol Pejeta is a fine stopping point on anyone’s Kenyan safari. This hundred kilometer long mountain range in the eastern portion of Kenya is a national park and the last of the 5 best safaris in Kenya. For those who enjoy mountainous terrain, Chyulu Hills can’t be beat. In fact, the region is technically filled with active volcanoes as two eruptions occurred as recently as 1856. Other parts of the park are filled with grassland and thicket, as well as Montana forests. The wildlife is quite incredible as well, and includes such species as bushpigs, eastern black rhinos and Grant’s zebras. Its cold blooded species are also of note, as the park contains black mambas and rock pythons, among other reptiles.